Soft is the most comfortable part of your sitting room. This is one the most sought place in the house when you want to chat with someone or watch TV. Keeping the sofa clean and stain free can be a task when there is dust, and grime on it. 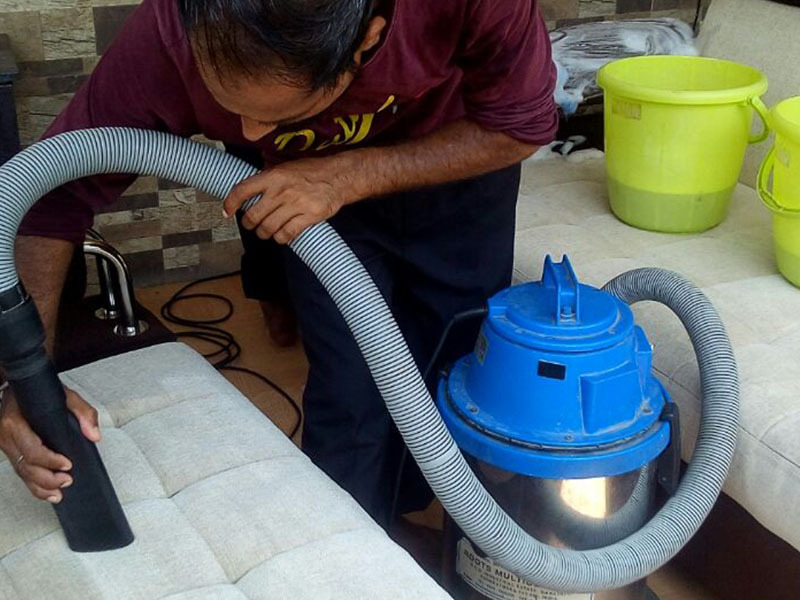 To clean a dull looking sofa, you don’t require a DIY but an expert service for Sofa Cleaning in Vadodara. ECO Facilities Management Sofa cleaning Gujarat offers the best services and promise to return your couch to its original state. Get a new sofa can be expensive and keeping them stain free seems to impossible task if you children in your home. Instead of wasting time on changing sofa cover or buying new sofa itself, go for periodical cleaning with ECO Facilities Management Sofa cleaning in Vadodara. Dry vacuuming the sofa to get rid of dust and grime. This follows by application of special chemical foam and scrubbing of the surface. An extraction machine is used to extract the residue of moisture and dirt. The sofa is then dried by keeping it under the fan or natural ventilation for 2 to 3 hours. The duration of drying may vary depending upon the thickness of sofa cover. Leather sofa requires proper cleaning, but with experts, it can be done easily without damaging the leather surface. The leather sofa with first vacuumed. A special reconditioning cream is used to clean the surface followed by wax to regain the shine on the couch. ECO Facilities Management is known for providing the best. If you are looking for Sofa Cleaning Gujarat, don’t forget to contact us to avail the best cleaning service in the area.